The magician riffles the deck of playing cards to the audience, the viewer says stop. The audience remembers the card. Immediately the decked is searched by the audience for their chosen card. It disappears from the deck and appears quickly onto the tie of the magician. This effect is based on the transformation of the tie, without the change. 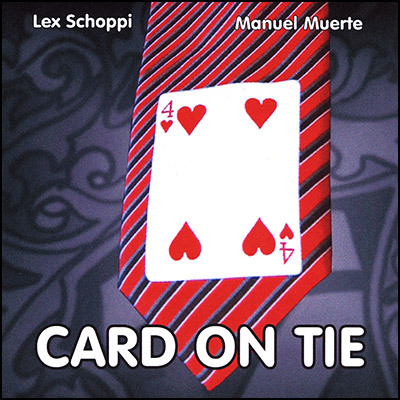 The playing card appears right on the tie. Additional effects are detailed such as Metamorphing and Dai Vernon's Five Card Mental Force. Comes complete with gimmick, high-quality 100% polyester tie, and instructions. Lex Schoppi was awarded "Author of the Year 2010" by Magic Circle of Germany (Magischer Zirkel Von Deutschland) for his series of Quick Change books!